Basilisk is the founder of the Ektoplazm netlabel group and free music portal, one of the world’s top online destinations for psychedelic trance, techno, and downtempo. 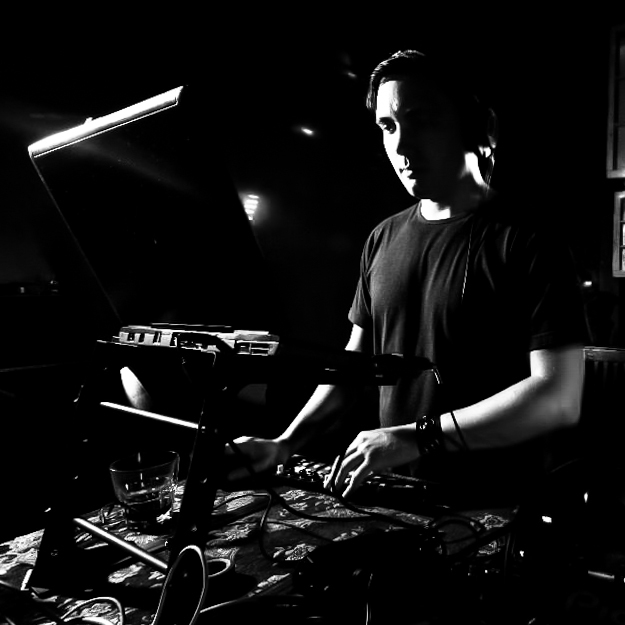 With more than a decade of experience behind the decks Basilisk is also an accomplished DJ. 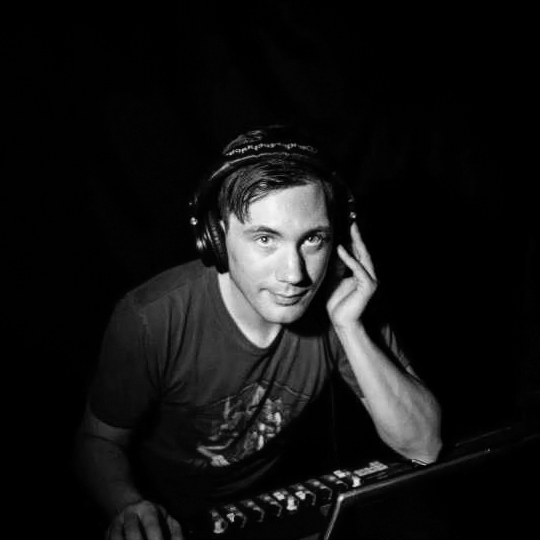 Much of his success can be attributed to his tireless work ethic and productive drive; aside from DJing, Basilisk also manages three record labels (the eponymous Ektoplazm as well as Drumlore and Omnitropic), compiles various artist releases (notably Ektoplazm’s Greatest Trips), develops and maintains the Ektoplazm web site, designs album artwork for numerous releases, and champions the cause of Creative Commons licenses and new music distribution strategies for the 21st century. Hi Basilisk, and thank you for finding time to talk with us! 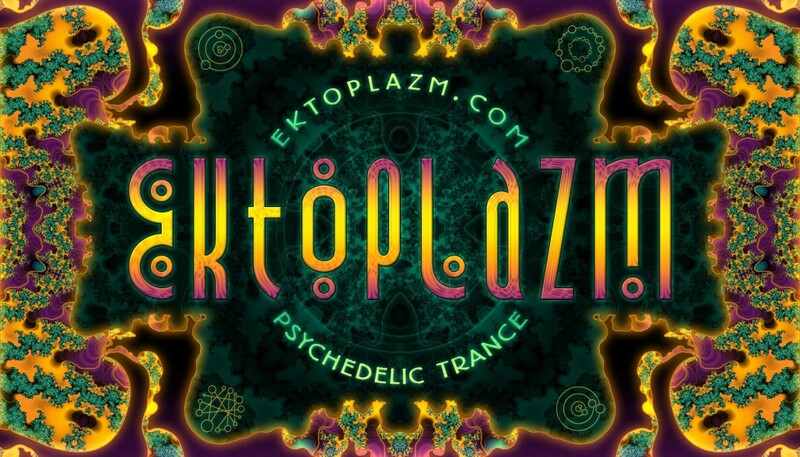 What you did with Ektoplazm for psytrance community is huge. I am not sure everybody knows DJ Basilisk, but I am pretty sure everybody knows Ektoplazm. I am glad to be able to know a bit more about all this. 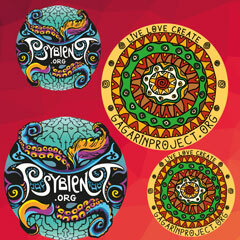 Hello, and thank you for inviting me to share a few words here on Psybient.org! When did you first set foot on your personal music path? My first encounter with psychedelic electronic music was in 1996 when I heard DJ Nivoc from Montreal playing Goa trance in the side room of a party in Toronto. I was new to electronic music at the time and had no idea about the differences between genres but, as a science fiction fan, I instantly connected with the alien sounds emanating from the speakers. I left that party feeling inspired but hadn’t any idea what I had stumbled upon. At the time it was all “rave” to me. More than a year later I had the good fortune to chance upon an early MP3 download site by the name of The Temple where I found tunes by Hallucinogen, Astral Projection, Man With No Name, and Deviant Electronics, among others. One discovery led to the next and before long I was hooked. Since then my tastes have matured and branched out and nowadays I appreciate a vast range of styles within and beyond the realms of psytrance, techno, and downtempo but Goa trance was my first love. Looking back on your lengthy DJ career, what have you enjoyed the most on this journey? I have enjoyed developing an artful and innovative approach to improvisational DJing over the years. My studio mixes tend to be meticulously arranged but I never plan any of my sets in advance when I am playing in front of a live audience. Usually I have some idea of where I might begin but everything after that depends on the moment. There is an element of risk to this approach but it can also lead to some very interesting places when everything comes together in just the right way. I can’t say my sets always hit the mark—but it’s far more creatively satisfying to feel things out rather than rely on a script like so many DJs do. I also take pride in spinning a broad range of music both new and old. I love to make surprising connections between different styles and time periods when programming a set and regularly celebrate the deep history of the movement through music. When I first entered into this culture I was captivated by the sense that anything is possible, that there are no rules, and I do my best to maintain this ethos in my work as a DJ. Having such a versatile repertoire as a DJ how often do you find yourself spinning downtempo psychill at parties? Not as often as I would like! In my experience versatility is actually something of a drawback in the psychedelic music scene. Promoters seem to want a clear, unambiguous brand, and hardly know what to do with someone who doesn’t stick to one formula. DJs like myself without production credits or a prestigious label affiliation are also not in high demand. Ektoplazm, although it is very well-known, doesn’t seem to be prestigious in the same way that the major commercial labels are (an amusing situation in a scene nominally devoted to anti-establishment patterns of thought). Apart from that I get the sense that a lot of promoters fail to appreciate what a highly skilled and knowledgeable DJ can bring to an event. Perhaps they see DJs as an interchangeable commodity—we’re just hitting play and dancing around on stage, right? I have made peace with this situation long ago—but the end result is that I don’t often perform, and almost never have an opportunity to spin a proper long-form, genre-spanning downtempo set like what can be heard in The Colours of Ektoplazm. That being said, I will certainly consider quality bookings any time they come my way! Can you divulge your live equipment rig and/or home setup? How did it evolve over the years? I started out on vinyl, moved into CDs, and went completely digital in 2009. Nowadays I have an extremely portable setup: a Korg Nanokontrol (first generation) and an Echo Indigo DJ sound card (PCMCIA version) for use with a rugged old Dell laptop with about 3 Tb of storage capacity for 100% lossless audio files. This setup is getting a bit old (and I hope to do some upgrades sometime soon) but it has served me very well over the years. I can show up, plug in, select anything I like from the last 25 years of electronic music history, and use multiple decks and effects with relative ease. All my tracks are properly tagged and keyed (initially by software analysis and later by ear, time permitting). I also go to the trouble of rating everything so I can easily trim the fat from my collection. It’s a far cry from lugging crates of vinyl to gigs like back in the day! You put out an excellent 5 hour down/midtempo mix this year. Have you any thoughts about where this chill music community is at, and where we can go? 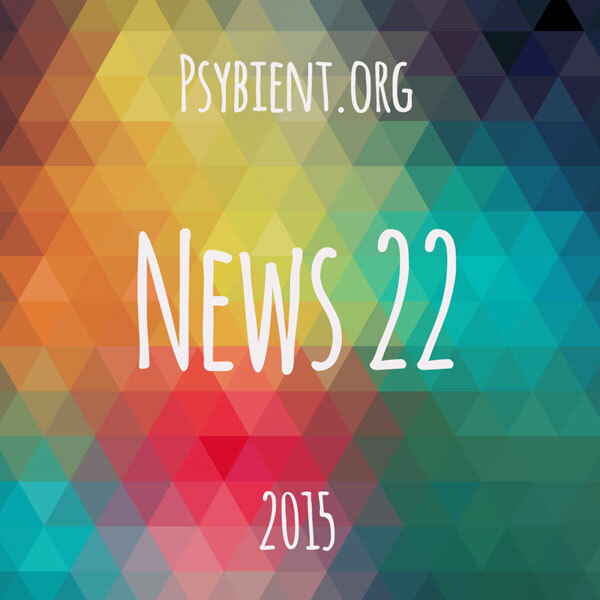 I would say that the psychedelic downtempo and chill out scene is doing very well in 2015. 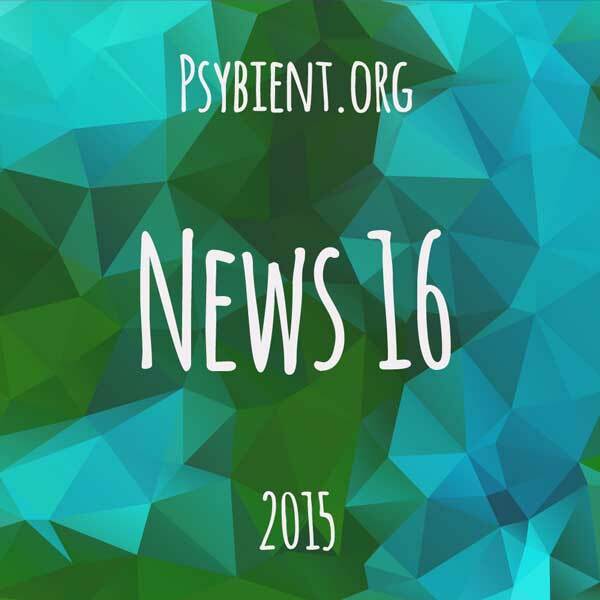 The online community has been growing strong with the development of specialized forums and blogs like psybient.org and r/psybient on Reddit. On another tip, artists like Globular, Radioactive Sandwich, Ekoplex, Supersillyus, and Jeremy’s Aura ably demonstrate that you can still make a name for yourself with raw talent and a pinch of social media savvy despite the fragmentation of the scene. As for the music itself, it’s about the same as any other year, broadly speaking. Some of the current trends are a bit played out but there are enough new ideas entering from the periphery that I never feel bored when I go looking for good music. Admittedly it takes a bit more effort to uncover the hidden gems given the sheer volume of music being released (relative to the amount of musical gatekeeping and signposting being done—far less than ever before) but as a consummate crate-digger I don’t mind. Speaking purely as a music consumer I am fairly happy with what’s out there—and there’s an almost limitless number of older releases to breathe new life into if the latest releases ever seem stale. Aside from DJing, you’ve had your hands full with many other musical endeavors, from your artwork and design, to your label and portal management. How has your experience been, being involved in so many aspects of the music game? It has been an interesting experience to say the least. I started out as a music fan and record collector, moved into DJing and writing reviews, and eventually went behind the scenes as a distributor, label owner, graphic artist, and so on. I like to think of myself as a facilitator, someone who makes things happen, so it has been very rewarding to see things take off the way they have—not only the distribution platform but also the many labels and artists who I’ve had the honour of helping out over the years. What are your hobbies or favourite things to do apart from music and technology? These days I don’t do too much outside of music and technology but I also enjoy urban exploration, photography, and bicycling (especially the combination of all three). I have been living in Asia for the last two years to reduce my cost of living so every day is some kind of adventure. It isn’t always pleasant being a stranger in a strange land but at least it isn’t boring. How did the massively popular free music portal, Ektoplazm, come about? I highly recommend reading a beginner’s guide to Ektoplazm) to find out more about the origins of the project. In a nutshell: I started the project back in the mid-2000s in response to how the early digital download shops were doing business. They charged extra for lossless downloads (when they bothered to offer them at all), tagged and named files in completely arbitrary and useless ways, and charged more than if you were buying a CD (on an equivalent per-song basis). In response to these failings I started posting free releases with standardized filenames and tags in a variety of lossless formats without even asking people to sign up for an account. It was meant to be a statement—but it soon evolved into a countermovement of its own, a parallel distribution system and music community with surprisingly broad influence and reach. Is there a guiding ethos behind Ektoplazm? If so, can you describe its importance as a driving factor? 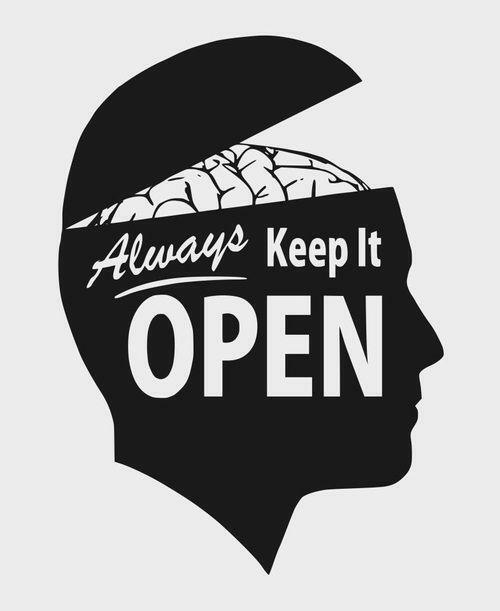 Creative freedom is one of the primary drivers behind Ektoplazm. Back in the beginning one of my main concerns was how artistic expression was being limited by the increasingly marginal economics of underground electronic music. Labels seemed unwilling to take a chance on new artists who failed to conform to one of the more popular trends at the time. I knew many promising artists who couldn’t get a break because their music didn’t fit into an easily defined category. It seemed to me like psytrance artists had two options available in the mid-2000s: produce fashionable music to appease fickle labels or share some MP3s on a homepage that hardly anyone ever visits. With Ektoplazm I set out to create a third option: free releases that match the quality standards of their commercial counterparts and (hopefully) generate a lot of buzz and excitement. In 2008 I founded the in-house Ektoplazm netlabel in an attempt to raise the bar and show people what might be possible. I invested thousands of dollars in professional mastering and artwork for those early releases and was fortunate to collaborate with some big names like Etnoscope and ManMadeMan. By 2010 this had the desired effect of legitimizing free music as an alternative to the traditional distribution system (in our little corner of the musical universe, anyway). Since then I have maintained a steadfast commitment to taking risks and pushing boundaries. I consider it my duty to promote new artists and non-standard approaches in part because the commercial labels can’t afford to do so. Not everything I release stands the test of time but I am proud that there are plenty of releases on Ektoplazm that don’t sound like anything else out there. How has the portal evolved since you started? In the early days I had to work hard to get people on board with the concept. So many artists seemed content to let their unmarketable (yet interesting and, in my opinion, release-worthy) music rot on a hard drive somewhere rather than give it away. Sometime around 2010 the tide began to turn and labels and artists sought out my services in increasing numbers for the exposure, feedback, and maybe even bookings that Ektoplazm could provide. Nowadays I’m just trying to keep the ship afloat while I work on redeveloping the site for the modern web. What have been the hardest challenge(s) keeping Ektoplazm’s wheels running? Since 2010 it has been an almost constant learning experience to keep up with demand. I have had to address numerous technical challenges over the years—serving up petabytes of data is not an easy task! Preparing releases is also extremely demanding on my time. Take stock of all the releases on the site—there are more than 1,500 today. Each one of those releases took at least 2 to 6 hours of work to prepare, taking into account downloading, reviewing, emailing, file processing, uploading, promotion, and so on. Some of those releases, particularly the ones I was personally involved with, took much, much longer. I clocked more than 100 hours on the “Colours” mix, for example. At the end of the day – what is the most positive and important thing you’ve taken away from your experience running Ektoplazm? I have had the good fortune to work with a great many talented people on a project that enriches the lives of people from all around the world. It doesn’t get much better than that! Could you briefly explain the submission process for Ektoplazm? Do you personally listen to most of the music that comes in? These days labels and artists submit an application with all the raw material I need for publication. I listen to every application before making a decision about whether to take it on for distribution or not. Sometimes this decision is easy, for instance when I receive an application from labels and artists I work with regularly. Other times it’s a tough call. But yes, I listen to almost everything, at least enough to decide whether to take it on or not. Correct me if I am wrong, but is Ektoplazm self-sustaining with financing fully based on voluntary user donations? Ektoplazm depends entirely on the support of the community to stay online. My monthly operating costs are covered more often than not but I wouldn’t say the site is sustainable. A big part of the problem is that I am seldom compensated for my time—and I don’t have the ability to earn income from a regular job while working on Ektoplazm as much as I need to (if the project is to continue, anyway). Even with the generous support Ektoplazm receives I still struggle to make ends meet… but I am not about to give up or ask for more help until I have delivered on promises already made. In any case, I have been working hard behind the scenes and feel confident that I have figured out a way to make the site truly sustainable. Do you think other electronic music genres need similar distribution platform? With all your technical knowledge would you like to work on these possible projects? Why did you decide to help the psytrance community? I am somewhat surprised nobody has duplicated the concept for other styles of electronic music. Since Ektoplazm began as a protest against the traditional distribution system I was hoping it would inspire others to do something similar for their own niche communities. That hasn’t happened, insofar as I know. There’s a huge amount of potential in this domain and I hope to apply my knowledge and expertise to other styles of music when the time is right. Why psytrance? I knew it best. But I would also say that there’s something about psytrance culture that made it a good fit for what I was trying to do. All electronic music subcultures have suffered growing pains in the transition to digital media but psytrance has had an unusual degree of industry dysfunction. There was a real need for an alternative. What personal benefit do you get from spending countless hours of your time on the project? I suppose it is mainly a matter of personal satisfaction. I am passionate about music and free culture and it feels good to be working on a project so closely aligned with my values. How many people can say they work for free and get paid only when people on the internet appreciate what they do enough to throw something in the tip jar? That’s pretty cool. Can you contrast your work with the portal versus the netlabel? I have taken a more hands-on approach with official releases on the in-house netlabels: Ektoplazm, Drumlore, and Omnitropic. Ektoplazm, the eponymous netlabel, was founded in 2008 to lead by example. 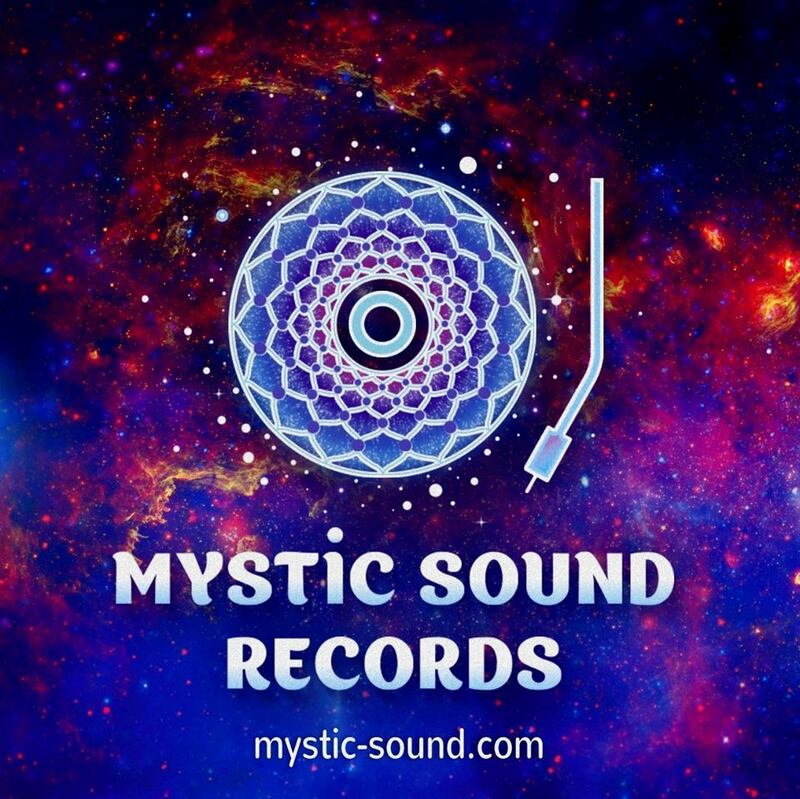 My aim was to strive for quality and bring a wide range of psytrance styles under one roof. The label really hit its stride in 2010 with releases like Creatures Of The Forest, The Scythe Of Orion, and Way Over Deadline. Omnitropic and Drumlore were founded a year later to specialize in downtempo and techno. Omnitropic in particular has been home to some awesome music over the years, as downtempo fans likely know. Where do you see these music ventures in the future? Any plans in particular? Nowadays these labels are effectively in stasis while I focus my attention on the platform itself. I am looking at this time period as a good opportunity for reflection and transition, for new energy and new ideas. With a bit of help I might put out the occasional release (which is precisely what happened when Jeremy’s Aura approached me with his album and the Smörgåsbord project) but in general I don’t have any specific plans except to continue focusing on quality and diversity. What are your personal music plans for the future? I tend not to make plans for the future as I seldom have spare time to follow through. I’m happy if I manage to finish off a studio mix now and then. I’d love to play some good parties (or even land a residency somewhere, my dream since I started DJing) but that sort of stuff is a bit out of my control. And of course I’d love to have the time to produce some of my own music but that’s not at all realistic with everything else I’ve got on my plate! What do you think about music piracy? Music piracy is a thorny topic. I take two stances, one principled and the other more pragmatic. First and foremost, artists have the right to release their music however they wish, under copyright control or a Creative Commons license or even into the public domain, and the public should respect this. But really, labels and artists should be more worried if their music isn’t being pirated. Ektoplazm is platform for distribution of free music. Do you think music should be free? No, not necessarily. That’s really for the artists to decide. I started Ektoplazm to give artists another choice, not to force them to follow any particular strategy. I actually hope to allow artists to sell music through Ektoplazm in the future. Even better, I’d like to encourage artists who want to sell music to make it free after six months or a year. Most sales take place in the first month or two anyway—what’s the point of keeping the music under lock and key after that? DJs are generally happy to pay for new releases and everyone else can enjoy an artist’s back catalog at their leisure. Thank you for answers, we promised to keep it short today! Any message to send to our readers? Brevity is not my forte but I appreciate the opportunity to sound off about such a wide range of subjects. As for a message, all I can say is stay tuned; the best is yet to come! NextPSYBIENT.ORG celebrating 2 years !! !